Apple appears to be updating the “For You” section of Apple Music to provide Apple Music subscribers with more customized suggestions and music recommendations based around different themes. 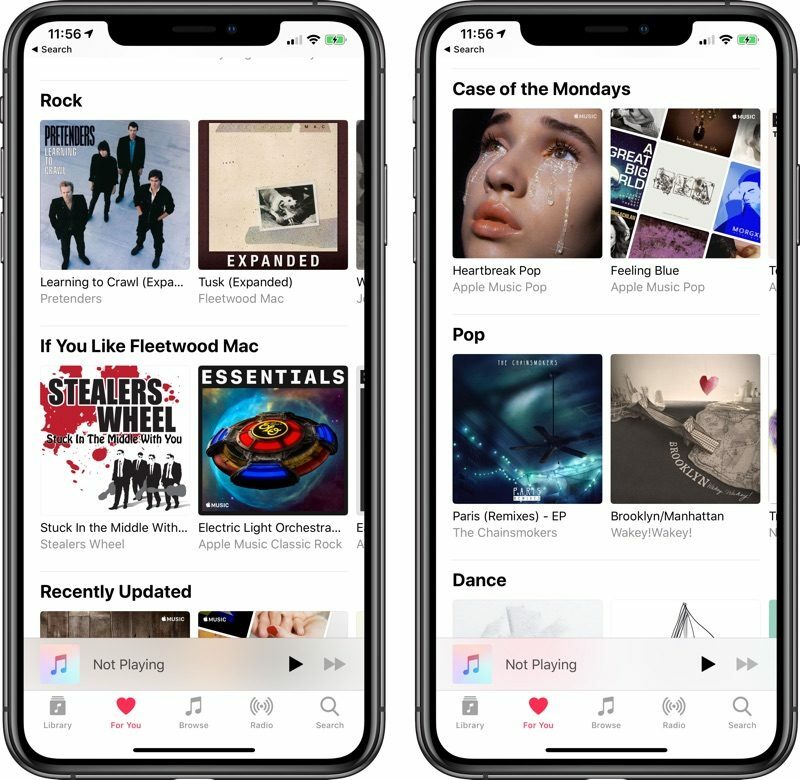 The updates to the Apple Music app’s “For You” section appear to be rolling out starting today, and we’re seeing the new recommendations on devices running both iOS 12.2 and iOS 12.3 According to 9to5Mac, these changes will be coming to all Apple Music subscribers on all platforms over the course of the next few weeks. Apple Music is now recommending content based on specific bands you’ve listened to before, and there are categories such as “Case of the Mondays,” “Start Your Week Right,” and “To Make You Smile.” There are also category recommendations for music genres you’ve listened to in the past. Recommendations can be shifted using the Love and Dislike features in Apple Music, and going forward, Apple plans to provide more regular updates to the “For You” section so you’ll have fresh content and recommendations more frequently. Apple is maintaining already existing playlists such as Friends Mix, Chill Mix, New Music Mix and Favorites Mix, and there are still sections like Recently Played, Recently Updated, Friends Are Listening To, and New Releases.